An easy spot to get to from the junction where highway 88 & 89 meet in Hope Valley. There’s a small parking lot and you walk along a path towards the river. It’s pretty quite except for the occasional sounds of a car or truck on the highway. You come to a bridge and the Carson River follows under it. The late afternoon sun lights up the recent snows and the ripples of the water. This entry was posted in Cool, Tahoe, Water and tagged California, Carson River, Hope Valley, South Lake Tahoe. First fall hike of the year. Went to Hope Valley to look for fall colors but we were stopped by the water flowing in the river. That’s Pickett Peak in the background. 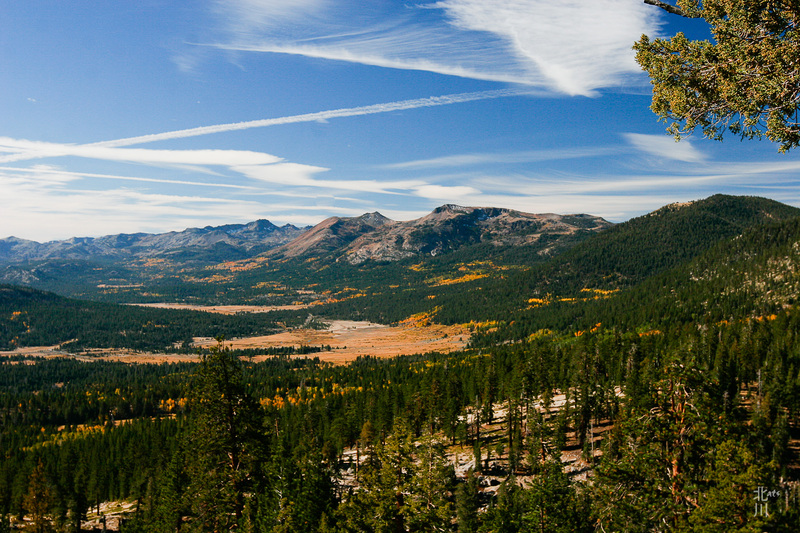 This entry was posted in Landscapes, Tahoe, Trees, Water and tagged Fall Leaves, Hope Valley, Landscapes. Here’s a shot of Hope Valley turning colors. The runs of golden yellow are the aspens interspersed among the evergreens. 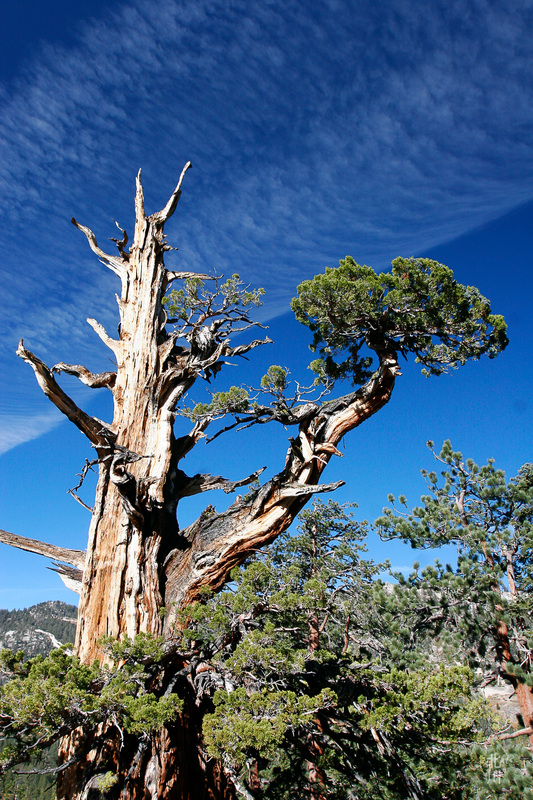 This entry was posted in Cool, Landscapes, Tahoe, Trees and tagged Hope Valley, Landscape, tahoe. Got near the top of the hillside and looked back at the view. Whoa! Amazing view of Hope Valley below! 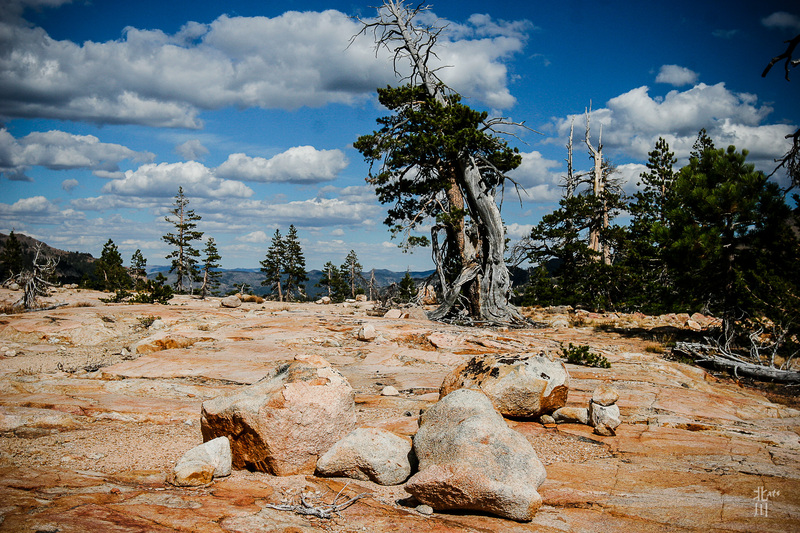 This entry was posted in I wanna climb that!, Landscapes, rocks, Tahoe and tagged Hope Valley, Landscape, rocks, tahoe. Found this cool erratic on top on this hillside. This entry was posted in I wanna climb that!, rocks, Tahoe and tagged Hope Valley, rocks, tahoe. Went looking for quartz last weekend. Didn’t find any good ones at this location. But scrambling along the hillside was fun with the high clouds above and these gnarly junipers. 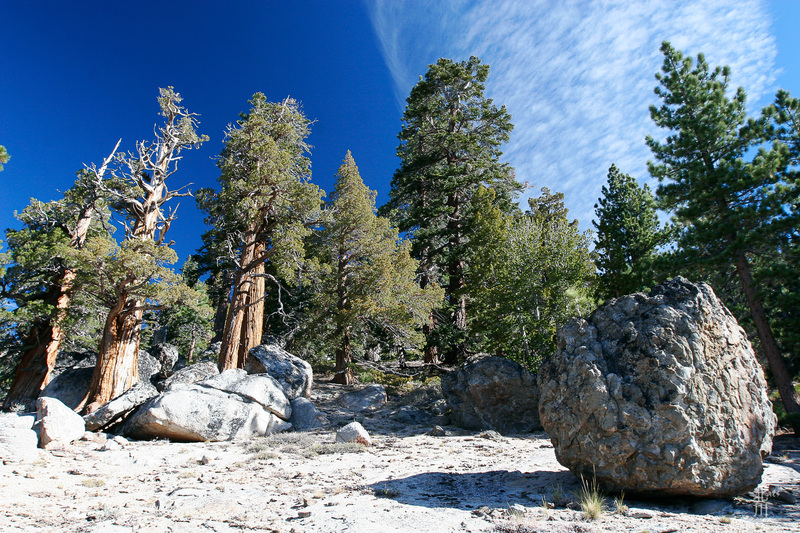 This entry was posted in Sky, Tahoe, Trees and tagged Hope Valley, sky, Tree. Walked across this ridge and it was loaded with quartz crystals. You can see the faint veins of white running through the granite. When I got back, I searched the web for “red granite with crystals” and this is what I learned. Pegmatites are extreme igneous rocks that form during the final stage of a magma’s crystallization. They are extreme because they contain exceptionally large crystals and they sometimes contain minerals that are rarely found in other types of rocks. To be called a “pegmatite,” a rock should be composed almost entirely of crystals that are at least one centimeter in diameter. The name “pegmatite” has nothing to do with the mineral composition of the rock. Most pegmatites have a composition that is similar to granite with abundant quartz, feldspar and mica. These are sometimes called “granite pegmatites” to indicate their mineralogical composition. 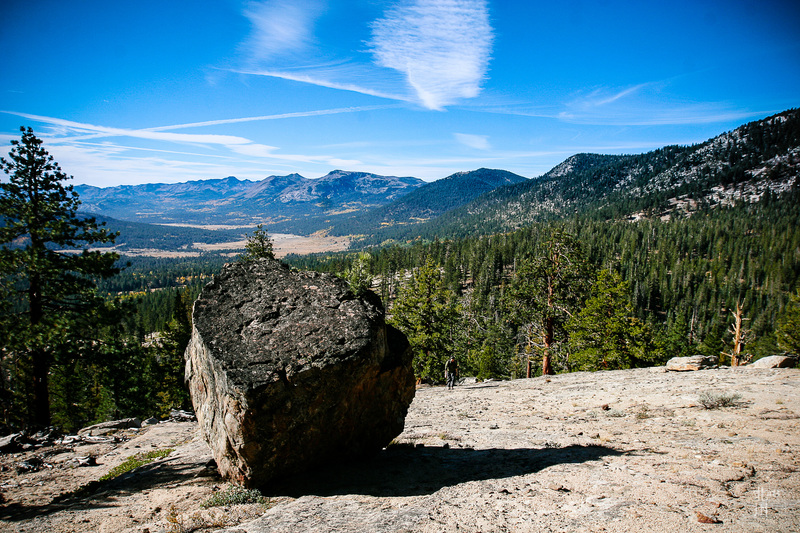 This entry was posted in Cool, I wanna climb that!, rocks, Tahoe and tagged hiking, Hope Valley, rocks, tahoe.